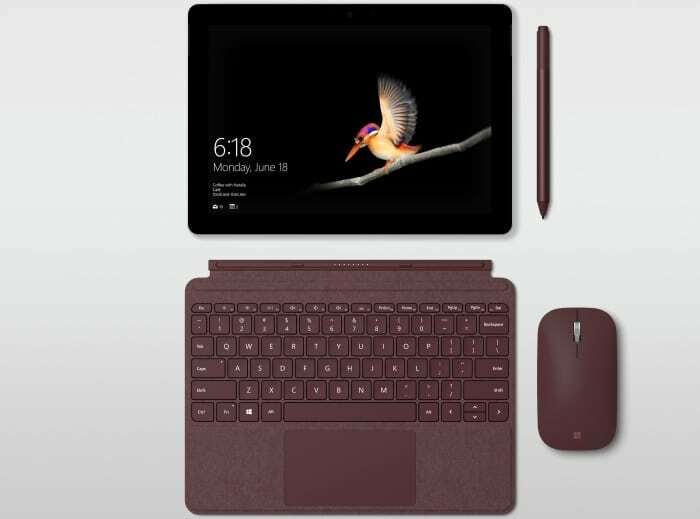 Priced at a more than reasonable $399 and up, Microsoft’s hot new Surface Go tablet is unlikely to get any sort of a substantial discount in the near future, competing directly against a 9.7-inch iPad that starts at $329 with only 32 gigs of storage space. But both the 64 and 128GB configurations of the “smallest, lightest Surface yet” are up for pre-order stateside with a bundled $50 Best Buy e-gift card. You obviously need to purchase the convertible Windows 10 machine from said retailer to claim the e-coupon in your e-mail, which will happen after the product is delivered to your home or picked up in a physical store. Keep in mind that Surface Go shipments are scheduled to start on August 2, and the higher-end variant also packs twice the 4GB RAM of the entry-level SKU, fetching $549. Another small difference you may want to consider is the costlier model comes with a solid-state drive, while the $399 version settles for slower eMMC storage. Both 10-inchers are powered by the same Intel Pentium Gold 4415Y processor, promising up to 9 hours of battery life in continuous video playback, and featuring an array of ports, USB Type-C, 3.5 mm headphone jack and microSDXC card reader included. Don’t forget the Surface Pen and Type Cover keyboards are sold separately, starting at $100 each. As for Best Buy’s complimentary e-gift card, there are certain terms and conditions to take into consideration, but all in all, it’s basically like getting 50 bucks back to spend on whatever you want. Not too shabby!